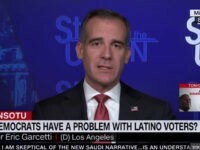 SANTA MONICA, California — An antisemitic mural on the side of the Vortex community center in downtown Los Angeles was found defaced on Wednesday morning, the day after it was condemned by L.A. Mayor Eric Garcetti. 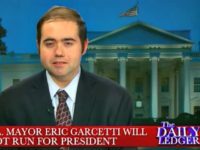 Breitbart News’s Washington Political Editor Matthew Boyle joined One America News Network’s Graham Ledger on The Daily Ledger on Wednesday evening to discuss the radical Democrats in Congress, in Virginia, and on the 2020 presidential campaign trail. 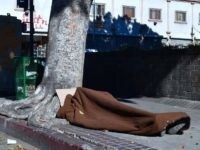 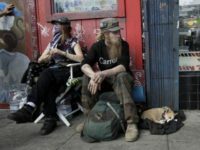 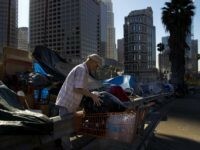 A typhus epidemic is spreading in Los Angeles, and has moved beyond the homeless population, according to a report by local NBC News affiliate KNBC-4. 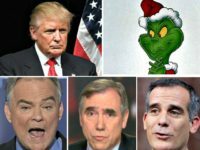 Several Democrats called President Donald Trump “The Grinch the Who Stole Christmas” during the government shutdown fight over wall funding. 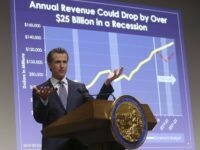 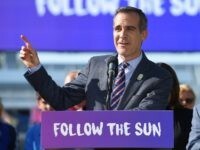 Los Angeles Mayor Eric Garcetti was forced to go all-in starting Wednesday to oppose gas tax repeal on the November ballot that would save the average family $779 a year. 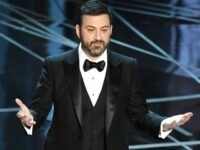 Los Angeles Mayor Eric Garcetti was flanked by ABC late-night host Jimmy Kimmel and super-producer DJ Kahlid at a glitzy fundraiser at Avalon Hollywood Tuesday night, raising an intended goal of $1 million for the Garcetti-founded political action committee Democratic Midterm Victory Fund. 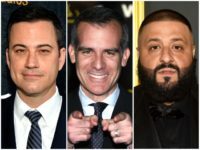 Los Angeles Mayor Eric Garcetti is enlisting late-night host Jimmy Kimmel and DJ Khaled this month to help raise funds for Democrats as the midterm elections fast approach. 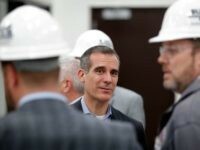 Los Angeles Mayor Eric Garcetti is heading to Ohio as he continues planning a presidential run in 2020 — though critics say he needs to do more to solve problems at home, like homelessness, housing, and traffic. 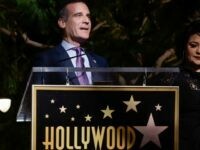 Los Angeles Mayor Eric Garcetti referred to the City of Angels as “the east coast of China” on Thursday while speaking to CNBC about his city’s bid to land Amazon’s second headquarters. 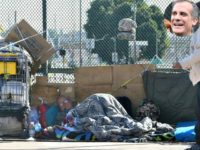 Mayor Eric Garcetti, a Democratic contender for president in 2020, is hiring a tourism consultant to advise on managing traffic, housing, and homelessness as Los Angeles prepares for 50 million visitors a year by 2020. 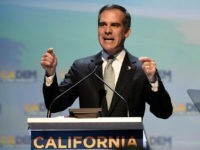 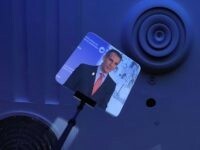 Fresh off a two-day “pre-presidential” trip to Iowa, Los Angeles Mayor Eric Garcetti delivered a State of the City address at City Hall on Monday where he touted Los Angeles as being central to America’s future. 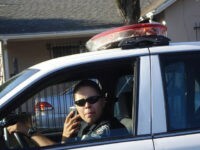 Los Angeles cops and firefighters are embracing a new pension spiking plan that lets participants in their last years receive up to a 50 percent spike in pension payments. 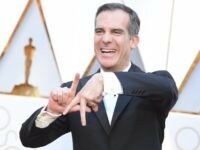 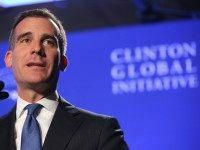 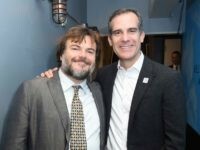 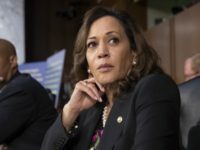 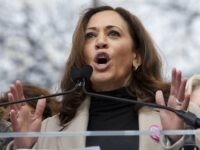 Democrat Los Angeles Mayor Eric Garcetti is following in the footsteps of many a presidential candidate with a trip to Iowa in April.